﻿I've always wanted to host a sky lantern (or wish lantern) launch party, but something tells me doing so in Brooklyn isn't such a good idea. 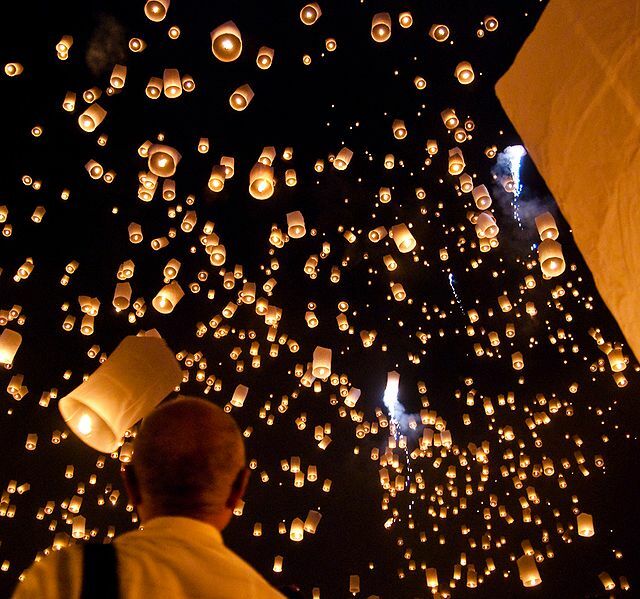 Until then, I'll just watch this incredible launch of 11,000 lanterns held in Poland and think about what wish I would write on my lantern - it's a tie between world peace and curly hair. You can buy wish lanterns here if you are on the hunt.